Live Stream Video On Demand: - Yep! The app offers you to go Live on Demand anytime. So, you can share any relevant content, life experience or any other necessary information directly to your fellow Latinos. The features in two ways – live and on demand. Tu Vida has a simple and a fast video streaming technology so that you won’t face any issue with standard internet connection. Aclamaciones! Advanced Social Feeds: - Hola Amigos! Well, this app will explore and connect with your friends and family. 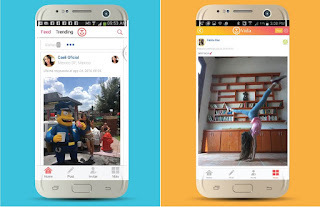 The app seamlessly integrates with other social media apps and platforms. So, you can view their social feeds and timeline of your dearest ones, or you can post yours as well. Moreover, you can post in Spanish, English, or even the Slangs; it’s up to you. 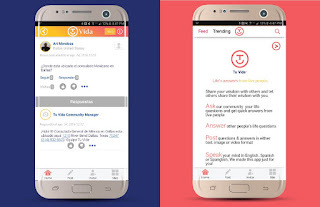 Content Trimmed: - Suppose, if you’re living away and want a glimpse of what’s going on in the community, then Tu Vida is always here to help. Read and explore content by your favorite music, occasions, interests, events and what not! The list never ends, and you can easily streamline your feeds with only the curious things. Get Alerted about Upcoming Events: - Lasts but not the least, the app also sorts hundreds of upcoming events and gathering from various resources. This feature works by your current location. So whenever you feel the Jazz Mojo, check out for any related developments on the go. The app also features relevant alerts from social media too. It is all added so you can interact and indulge more to the community by embracing the information and contributing your bit towards it.